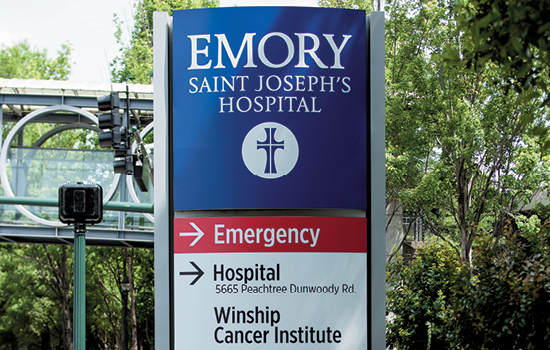 Winship Cancer Institute has expanded access to its high quality cancer care in alignment with its broad clinical research program at both Emory Saint Joseph's Hospital (ESJH) and Emory Johns Creek Hospital (EJCH). In addition, Winship has established the Winship Cancer Network as a means to improve access to such vital services throughout Georgia and the Southeast. In addition to expanding services at ESJH and EJCH, the Woodruff Foundation's most recent grant will be used to expand and improve Winship's Shared Resource portfolio with special emphasis on its Cancer Prevention and Control Research Program. Researchers in this program are continually evaluating the best methods to reduce and eliminate the development of cancer among high-risk individuals across Georgia and the Southeast.